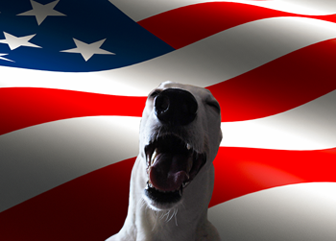 Thanks for dropping by – no barks…just whines! Keep up the good show! Nigel looks fantastic in first light. And it looks like fall is a-coming! You are the brighest spot in that photo. That’s a great photo – looking good, Nigel. Nigel is so serious. Is he changing color too? He looks a little purply. Nothing like an autumn morning in the northeast. Beautiful photo of a very beautiful doggy! a penny for your thoughts, Nige…….on second thought better keep them to yourself. Living in the South I DO miss the beautiful autumn colors. Next fall I will make a leaf peeping trip up there. Naughty is lurking just behind that innocent veil. The best of all worlds, a gorgeous front yard and a good puppy! Beautiful dog, and great autumn colors! Looks like you’re slightly ahead of us with Autumn. Lovely colours. Nice shot, you look in deep thought there. What are you looking at?. Love, love, LOVE dis photo!!! My mom is swooning over it, BOL! Great picture!! Is it getting chilly Nigel??! Nigel, you look like you stepped right out of GQ! Bunny has been staring at this picture for quite a few minutes now! 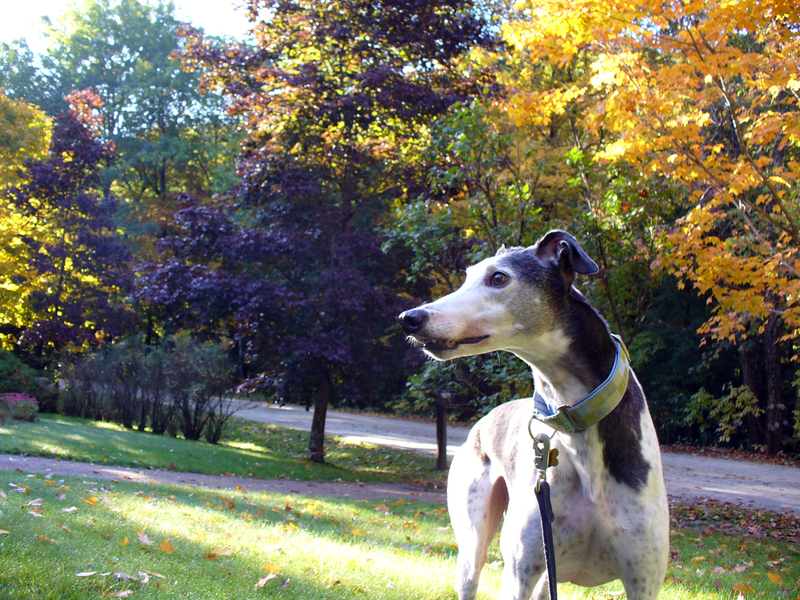 a beautiful fall day for a walk – what could be better! This picture is so Vermont perfect in so many ways and Nigel – must say that you look… sweet! We’re waggin’ happy you (and your niece) liked the Wheeless Wheelie (Foster Dog) post from Eric the Square Dog’s House. If you want more of the story, you’ll find it on our blog. Past and current posts! He has arrived HOME! We’ll all be updating about this Rescue’s Resumed Life. Aww he looks so graceful! Just goes to show that a beautiful background can make anything or anybody look pure and innocent. You are one handsome hound, I gotta give ya that. Nigel, you are one HANDSOME dog! you’re the spotlight in autumn–someone’s gotta steal the show from the trees! Nigel – so stylish and posing! We are impressed. Those autumn colours are truly wonderful! Nice photo… Autumn is here! That is a really nice photo. A wonderful dog and the colors of the trees are beautiful. Don’t you just love the colors of autumn? Nigel buggers, you are a light in my life! It almost pains me to say this, but honestly Buggers you look pure and honorable and well, Greyt in this shot. Perhaps you have a stand-in, a body double? Or, maybe Mr. Author was just quick at catching you the second between rash and impetuous thoughts?! Furst light looks khwite fab!